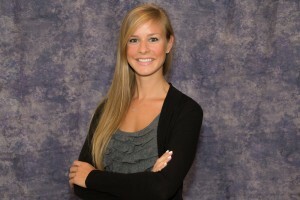 Rebecca graduated from Rutgers University (formally The University of Medicine and Dentistry of New Jersey) with a Doctorate in Physical Therapy. Prior to her graduate studies, Rebecca earned her Bachelor of Science degree in Biology from Ramapo College of New Jersey. Since graduating in 2014, Rebecca joined PRNY as a full time staff. She has provided for both pediatric and adult patients in a range of settings including school based, early intervention, outpatient, aquatics, and acute care. She has obtained her certification in C1 and C2 Schroth based scoliosis specific exercises from the Barcelona Scoliosis Physical Therapy School (BSPTS). She is also SEAS Level 1 certified in scoliosis specific exercise through Isituto Scientifico Italiano Colonna Vertebrale (ISICO). Rebecca had the opportunity to travel to Rosenheim, Germany in April 2016 to attend the Ortholutions RSC Brace Seminar and Workshop with Dr. Manuel Rigo. She has conducted research on scoliosis specific exercise as treatment through pregnancy utilizing the DIERS surface topography scanner to monitor progression and will be presenting a case study poster on this topic at SOSORT 2019. Rebecca uses her passion for aquatics to teach adaptive swim lessons to children with special needs. In her spare time, she enjoys traveling and spending time on the lake where she resides.